Speedrunner Illudude has been playing Wave Race 64 since it was released in 1996 on the Nintendo 64. Yesterday, be set a new world record on the game’s Drake Lake level, breaking the 1:11 barrier he first introduced in 2010 and which speedrunners have been trapped ever since. Shaving five hundredths of a second off his previous time to reach 1:10 is his latest accomplishment in a 22-year-long obsession with figuring out how to circle Drake Lake as quickly as possible. Illudude told Kotaku there aren’t really any secrets to the speedrun besides precision. ”It’s a very pure skill level,” he said. The latest time was made possible by a slight route adjustment at the end of the first lap, which takes him slightly to the left of the tree poles before the finish line. 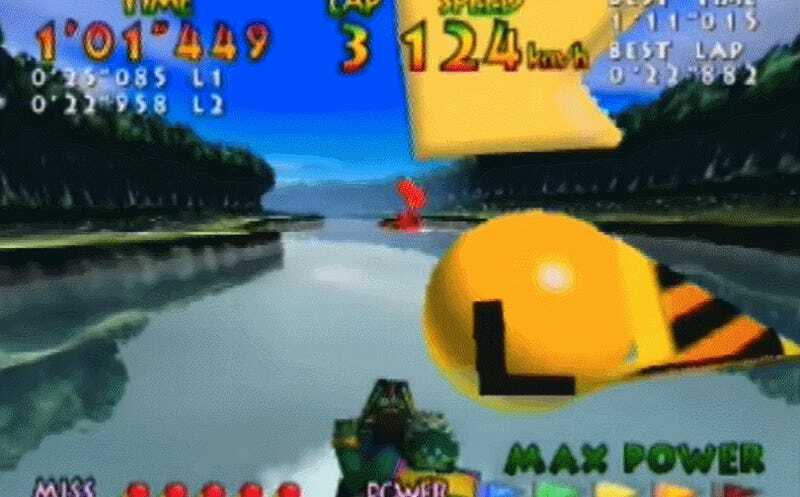 On the first time through this section there are no waves, a time save that competitors had previously only speculated about, and which would be easy to miss if the runner made even the slightest error later. While improvements like this are important, they’re nothing without perfect execution. 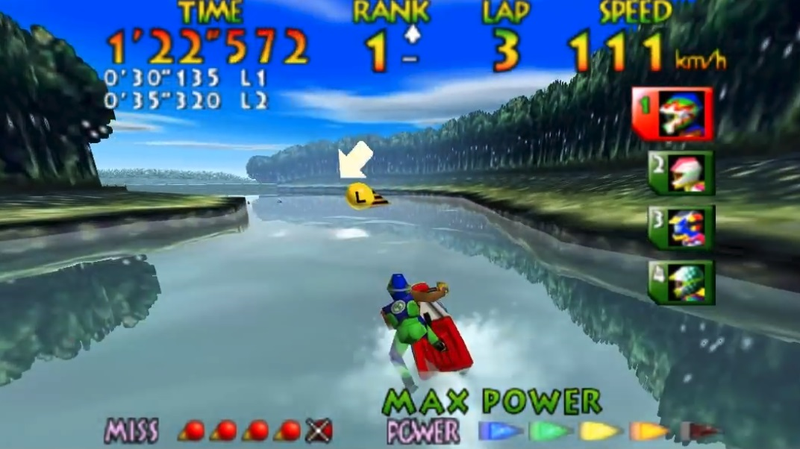 The speedrun (above) is fast-paced but also relaxing in that uniquely Wave Race 64 way. There’s the consistent rhythm of Illudude bobbing up and down on the water synced up to the beeping of each buoy he passes. Ducks occasionally flutter on the left or right of the screen while the N64’s ghostly recreation of a flute weaves the whole thing together. There are no glitches or sophisticated exploits of the game’s code—just someone wave racing their heart out. For the last eight years, Illudude and other Wave Race 64 speedrunners have been grinding through Drake Lake times of 1:11, gaining a fraction of a second here and there. His new world record of 1:10.996 is the dawn of a new era for one of the game’s more beloved maps. For now, at least, he can count himself the sole member of the Drake Lake 1:10 club, a goal that originated when he lost the top spot on the level’s leaderboard for the first time last January to a runner by the name of Mo_Moe. Years later, Illudude realized that was because other people were playing the Japanese version of the game, which runs much faster. “I got addicted to the level though and returned to it from time to time,” he said. The practice paid off when he landed his first Drake Lake world record in 2009 with a time of 1:12.192. Illudude spent the next decade trying to shave less than two seconds off his favorite Wave Race 64 map. The latest world record, a 0.0448 improvement on his previous one, was itself a 100-hour endeavor. Some speedrun records are admirable for their virtuosity, while others are notable for the body of work and study that goes into making them possible. Illudude’s is a bit of both, but it’s also simply a thrill to watch. If anyone wants to revisit the game for themselves, Illudude has an unintuitive piece of advice.